Just a couple of weeks ago, internationally acclaimed superstars, 2Face Idibia and Wizkid were named as headliners for this year’s Hennessy Artistry. Both artistes headed to the studio as is a usual custom and jointly recorded the theme song for this year’s Hennessy Artistry. This collaboration turns out to be the duo’s first joint musical venture together. The song is due to be released officially by Hennessy on Thursday, October 2, 2014. Here is what went down when the pure talent and skill of the music legend2face Idibia collided with the new school hot musical sensation, Wizkid. 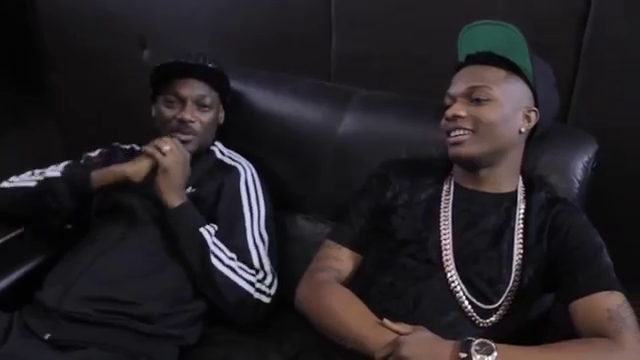 Watch 2Face and Wizkid record the Hennessy Artistry theme song.